SALT LAKE CITY, Utah – The elements of perfect guitar tone start here: HARMAN’s DigiTech today announced the introduction of its Element and Element XP, two versatile guitar multi-effects pedals that offer hundreds of sounds, effects, amps and cabinets, drum machine and much more. 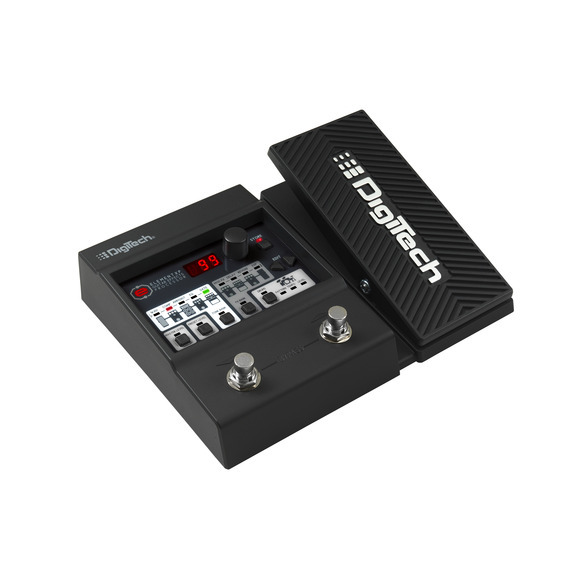 The DigiTech Element XP features an expression pedal and offers 38 effects, while the Element provides 34 effects. The Element XP and Element both deliver state-of-the-art effects processing with six classic overdrive and distortion stompboxes, 12 amps and cabinets and 28 pedals. The Element XP and Element both feature a pedalboard-style control layout that is simple to use and lets players quickly adjust and save their settings to fit their personal styles. The Element XP and Element provide a dazzling array of effects: compressor, 3-band EQ, flanger, phaser, tremolo, vibrato, chorus, rotary simulator, envelope filter, step filter, spring reverb, room reverb, noise gate, an acoustic guitar simulator and many others. The Element XP adds four expression pedal-based effects including the Dunlop® Cry Baby™ wah wah, Vox® Clyde McCoy™ wah, a full-range wah and a volume pedal – even DigiTech’s dramatic Whammy™ pitch shift and YaYa™ and AutoYa™ wah effects. Guitarists can choose from 100 factory presets that encompass a host of musical genres, and create and save 100 more custom preset sounds. 45 different drum tracks are available to jam and practice along with, and both models include a built-in tuner. The Element XP and Element feature a 1/4-inch guitar input and a 1/4-inch stereo output jack that can be connected to either an amplifier or a mixer for direct recording using the Amp/Mixer mode switch. The Element XP and Element have a dedicated headphone jack and an Aux input to jam along with favorite songs. Both pedals include a power supply so no batteries are needed. The DigiTech Element XP and Element multi-effects pedals will be available in October 2013 at suggested retail prices of $119.95 and $159.95 respectively.